These are genuine East German and Czech M-10 Gas masks. These masks are from the Czech Republic. 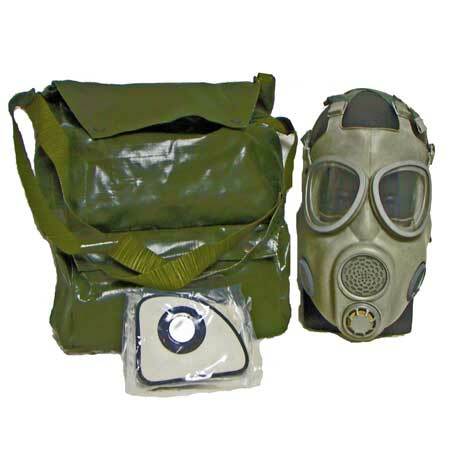 They are similar to the US M17 gas mask. These masks are in good condition but may have some slight discoloration. The filters are still in original plastic packaging. These masks come with 1 set of NEW (expired) filters. Get these while they last! Gas mask may or may not come with a drinking hose. 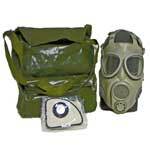 Gas Mask Bags may vary from picture. 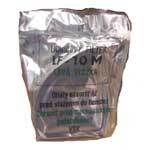 Cannot Ship Gas Masks or Filters Outside of the U.S. NOTE: THIS ITEM IS NOT ELIGIBLE FOR FREE SHIPPING. ADDITIONAL CHARGES MAY APPLY. 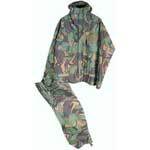 ANY QUESTIONS PLEASE EMAIL INFO@MAINEMILITARY.COM OR CALL 207.989.6783 FOR MORE DETAILS.